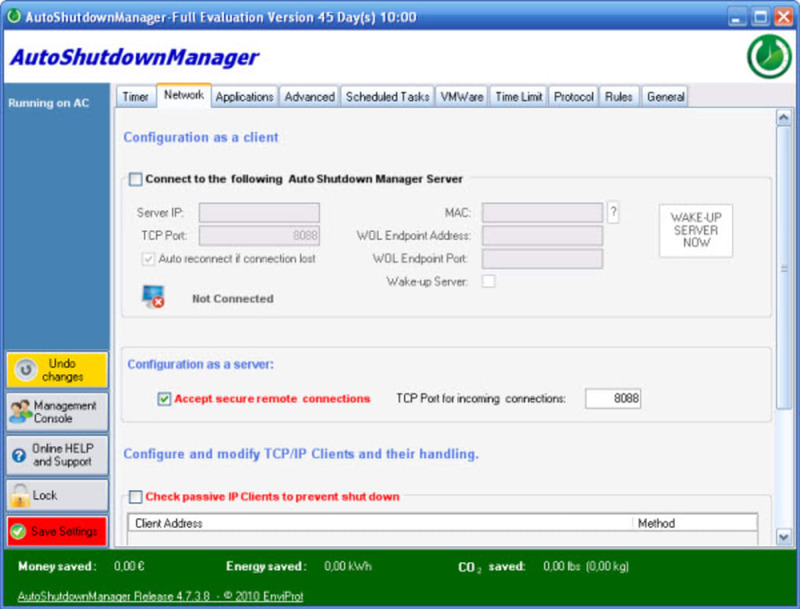 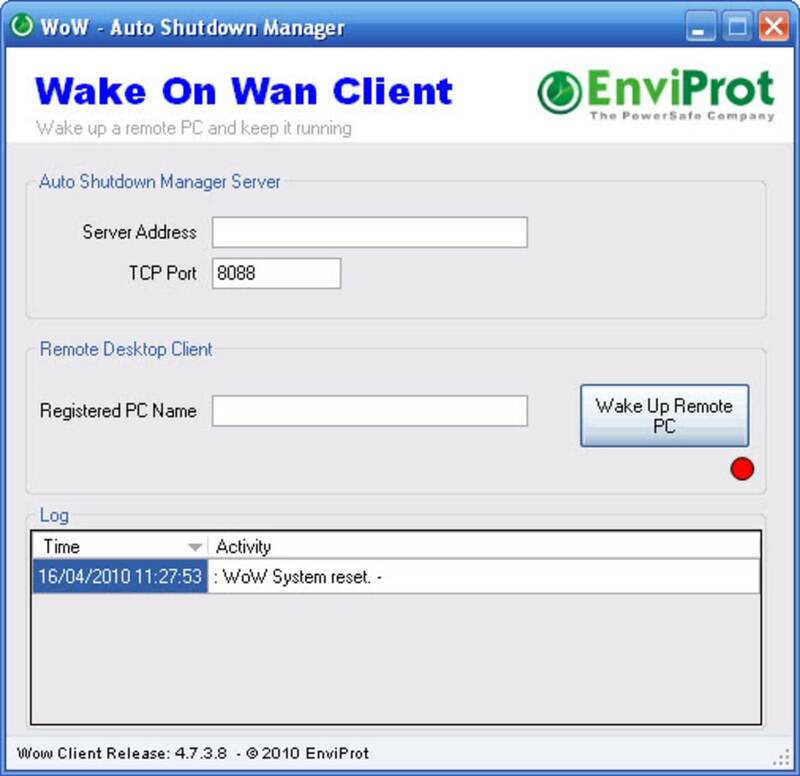 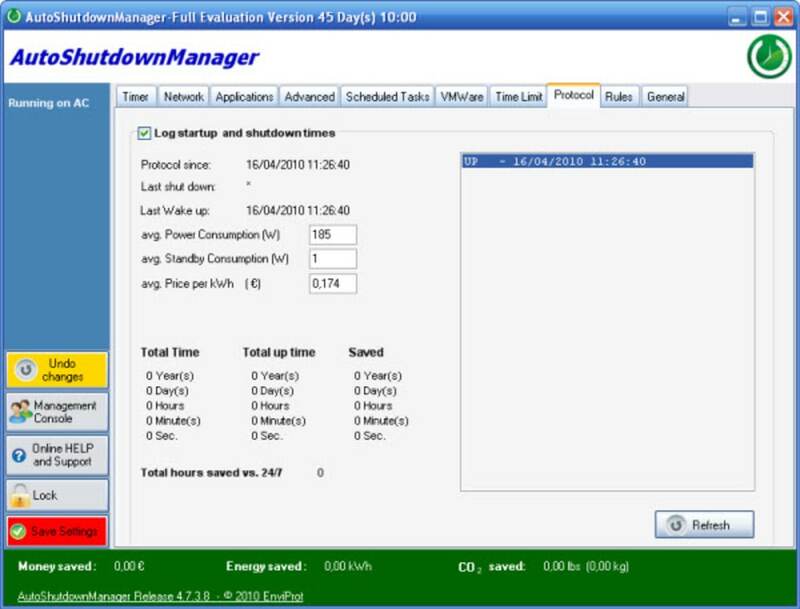 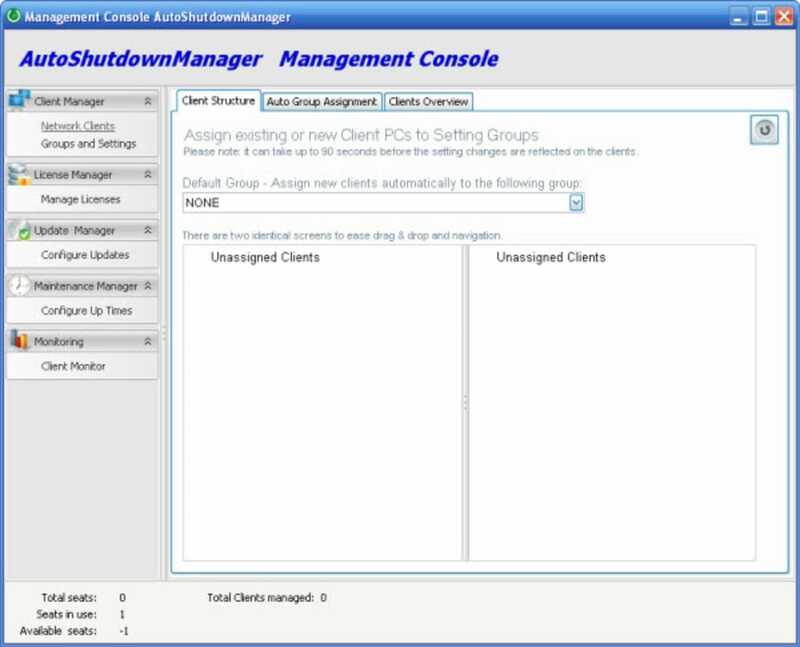 Auto Shutdown Manager is a great, demo Windows software, that belongs to the category Software utilities with subcategory Automatic Shutdown and has been published by Enviprot. 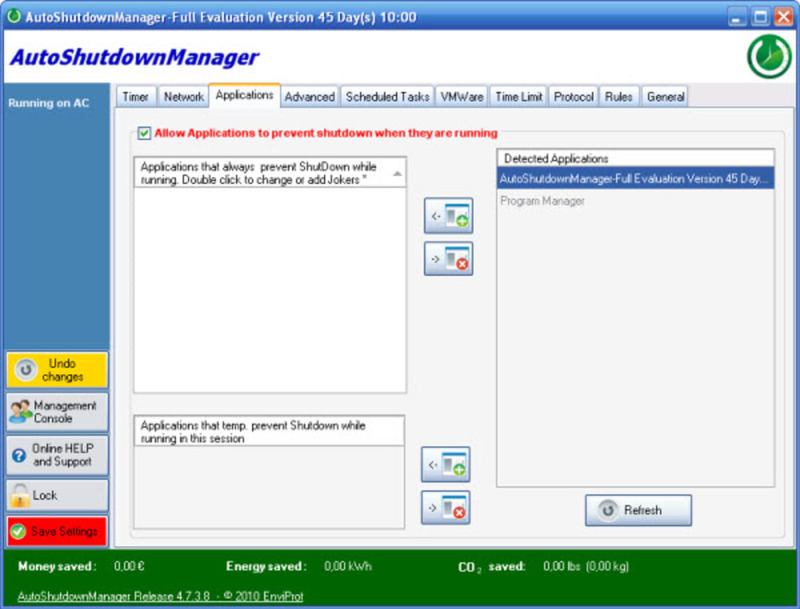 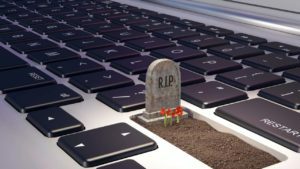 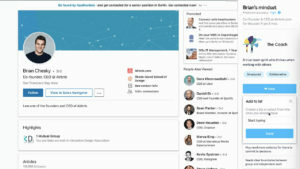 About the download, Auto Shutdown Manager is a software that needs less storage than many programs in the category Software utilities. It's a program very heavily used in some countries such as Philippines, Egypt, and Germany.Since the program joined our selection of software and apps in 2011, it has already reached 31,402 downloads, and last week it had 3 downloads.It's available for users with the operating system Windows 2000 and former versions, and it is available in English, German, and Catalan. 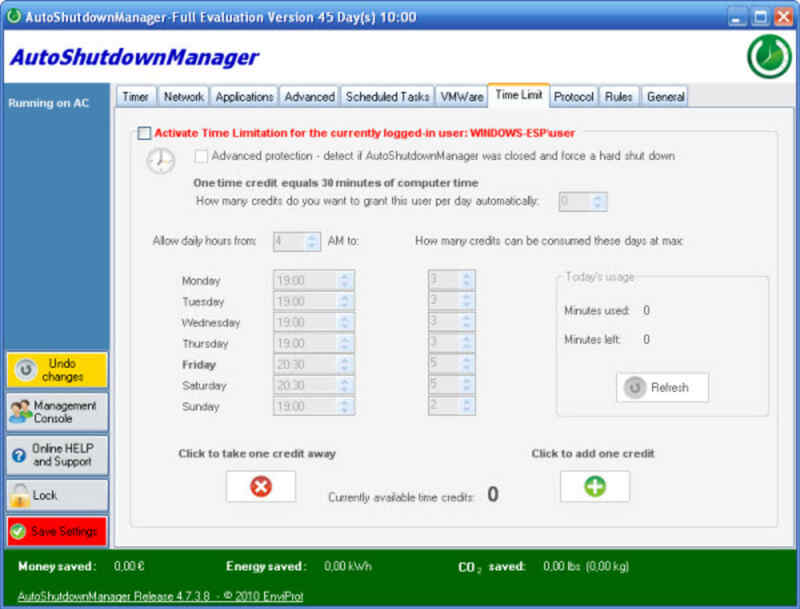 The current version of the software is 5.0.0.89 and was updated on 11/25/2013.